Todays guest is a musical one, who is striving to get to the top of his chosen career. And it certainly seems that at the moment, the hustle, the talent, the perseverance, and the passion are doing just that, and he is building a momentum that is getting him noticed in the country music world. 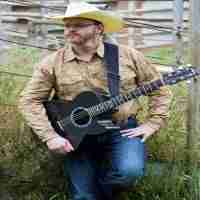 With the release of his debut album, It’s All Country, in early 2012, (and its re-release in 2013) he has showcased his signature sound, which he cultivated from years of touring camps, churches and conferences across the US. Even playing in an airport once, to impress a pretty girl for one of the band members, he has blended the traditional influences from country music’s past, like the Gatlin Brothers and Kenny Rogers, with modern contemporaries like Toby Keith and Trace Adkins. He has created an original, honest and authentic sound all his own. Which is a key point to todays discussion. With so many influences smashing into us everyday, how do your separate and become yourself, and not become a pale imitation of someone already out there? An ordained pastor, he served at the Cowboy Church of Anchorage, Alaska, but now has moved to the spiritual home of his style of Music, Nashville Tennessee, where if the idea of the quickest way to success is to surround yourself with other like minded people is true, was the perfect decision to make. So when did he decide that he wanted to make a go at a career which has beaten so many people in the past? And was uprooting his family and bringing them across America to pursuit his dream, an easy or hard decision to make? Well lets find out as we bring onto the show to start joining up dots, with the one and only Doug Briney. How the latest musicians are bridging the gap between the different musical country styles with such confidence, which can only be a good thing for the business. How he recalls the turning point in his life occurring when he kneeled down in front of god and asked what his next move should be. Why it is so important to not have an escape plan in your life, so you know that the only for you is forward. How he remembers being asked to write his signature on a quilt which brings him to tears just thinking about it.